Right after Thanksgiving, my husband hauls up the boxes of Christmas decorations and puts together our fake Christmas tree. As he decorates the outside of the house with lights, I busy myself by putting up all our Christmas baubles inside the house. 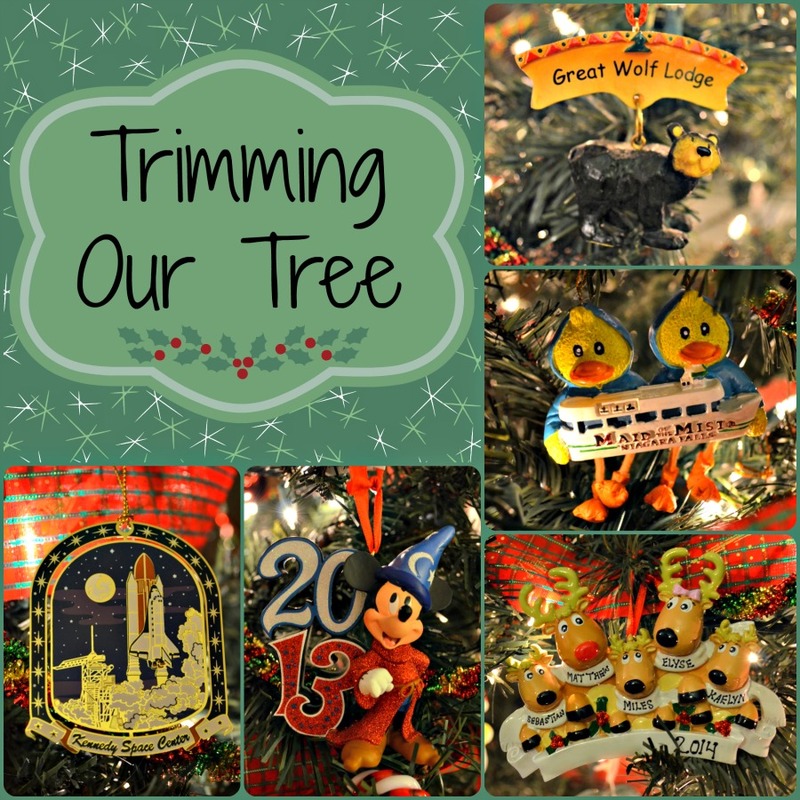 Trimming our tree is the last item on our decorating list and we do it as a family because of the memories each of our ornaments hold. It is a time to visit old vacations spots, to reminisce younger years, to share memories, and to laugh with our children. Even though some memories might be melancholy, all memories are important to our family and the ornaments are a key in that memory. 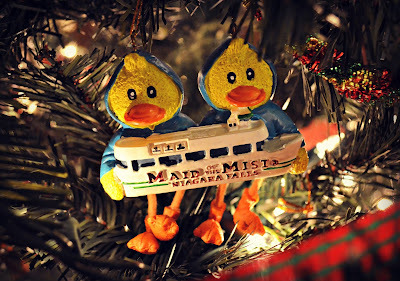 My favorite ornaments on the tree are the ones we purchase on our vacations. Every time we go somewhere new, we make sure to buy a Christmas ornament for the tree. We have quite a few Disney ornaments plus ornaments from various other places we have gone as a family. Here are a few of our ornaments and a memory to go along with each one. 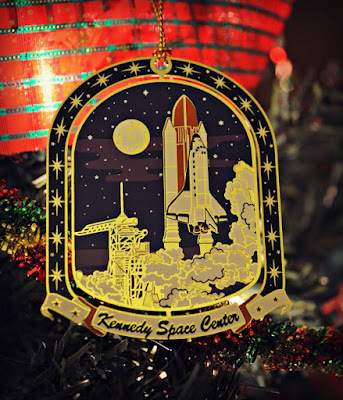 A family ornament from 2014. Miles joined our family last year so I wanted to make sure we had an ornament to commemorate our first Christmas as a family of five. In June of 2010, Matthew and I went on a babymoon to Niagara Falls. It was the first time we got away with each other without Sebastian and we did it just a few months before Kaelyn was born. We stayed at a B&B and we went on the Maid of the Mist boat tour. It was beautiful! We plan on taking another excursion sans children next year to celebrate our 10 year anniversary. Another ornament will be purchased then too! We have gone to Great Wolf Lodge in Ohio twice. Both times were before Miles was born. I would like to take the kids again soon because we had so much fun. 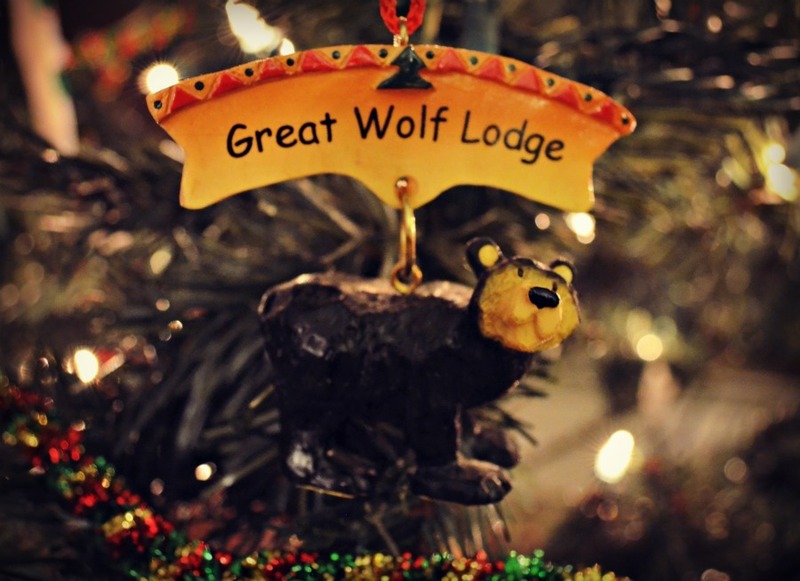 The biggest memory from Great Wolf Lodge was when one of our children pooped on the floor. We were not laughing then, but looking back at it is hilarious. The moment we saw Atlantis at the Kennedy Space Center is a moment my husband and son will remember forever. That exhibit touched them and they could have spent a week at KSC. Unfortunately, we only had a day there, but we enjoyed that day together as a family. 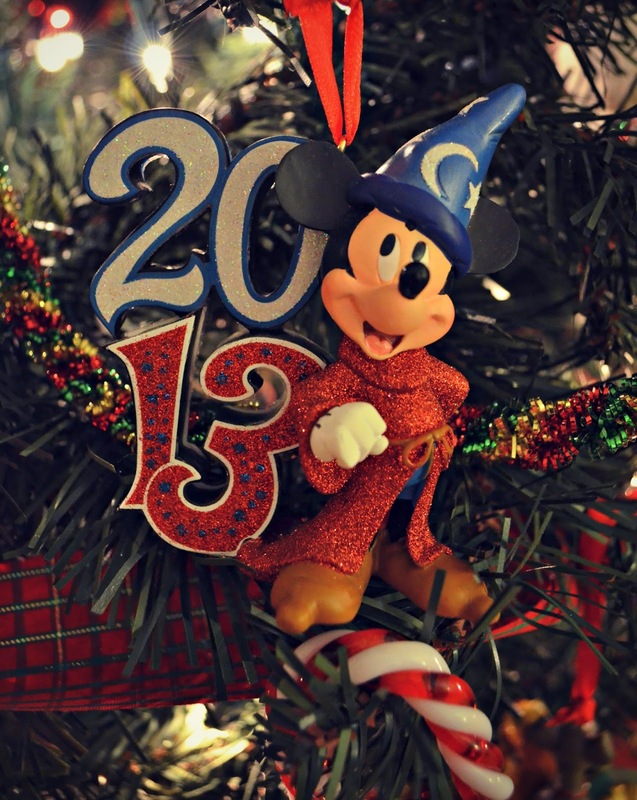 Disney ornament from our last trip. We last went to Disney in September 2013 when I was pregnant with Miles. I was fairly miserable in the heat and being pregnant. However, the family had so much fun together. We stayed at a Royal Guest Room at Riverside and we loved the fireworks headboard. I wish I could get one for my house! 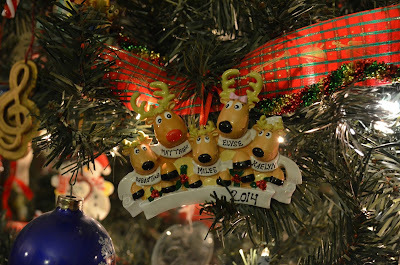 We have many more ornaments with special memories attached to them, but I only wanted to share a few with you. 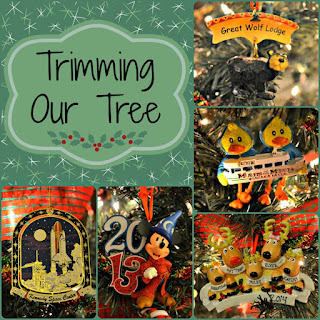 I look forward to adding more ornaments (and memories) to our tree as we live each year together. Creating traditions as a family is fun and special and I hope to see our children take some of our traditions with them when they have their own families in the future.